BODY COACH is a high end boutique gym and physiotherapy clinic, oriented towards “Home Personal Training” services across the country. Based in Hazmieh Lebanon, our main vision is to enhance the quality of our clients’ well-being wherever they are located, through customized fitness programs and personal follow up to insure they reach their personal targets accordingly. We want to create value. We want to make a difference! 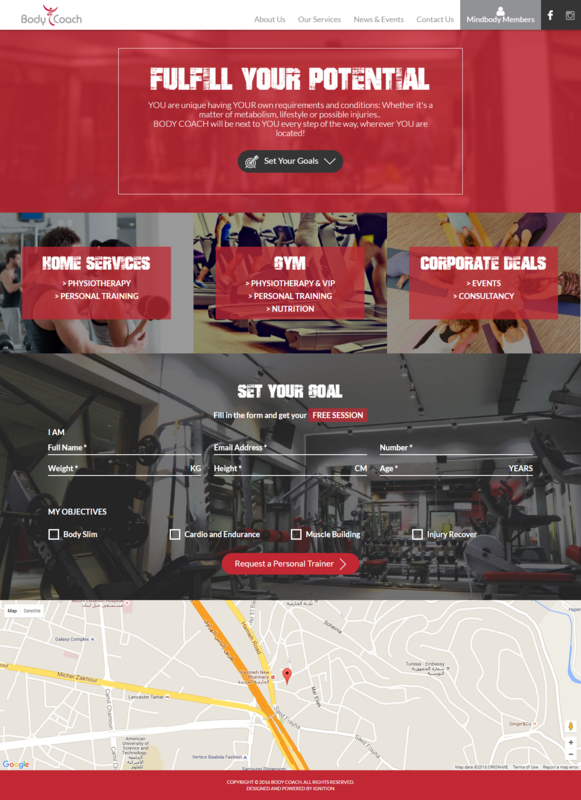 Body Coach launched its responsive customized website in 2016 based on custom CMS.